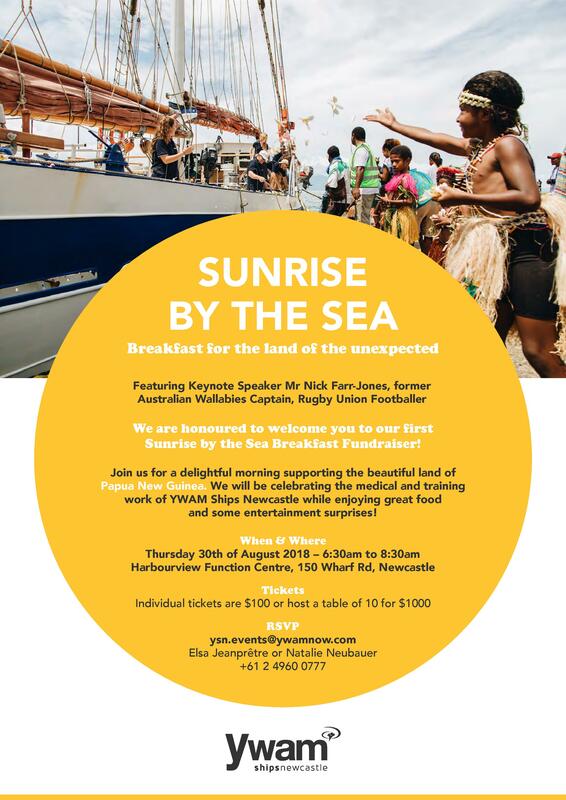 We are honoured to welcome you to our first Sunrise by the Sea Breakfast Fundraiser featuring Keynote Speaker Mr Nick Farr-Jones, former Australian Wallabies Captain, Rugby Union Footballer. Join us for a delightful morning supporting the beautiful land of Papua New Guinea. We will be celebrating the medical and training work of YWAM Ships Newcastle while enjoying great food and some entertainment surprises! Please do not hesitate to contact us with any queries you may have at ysn.events@ywamnow.com. WANT MORE INFORMATION ON THE SUNRISE BY THE SEA BREAKFAST? USE THE CONTACT FORM BELOW!